Well, first up, all babies are different. When it comes to sleep, it is important to think aboutwhy babies do not sleep in the same way that we as adults do. As adults we tend to get our core sleep in one go at night-time, but newborns sleep in short bouts through the day and night, anything between 20 minutes to 4 hours! But there are also evolutionary reasons for the pastern of babies sleep, and newborns are ‘programmed’ by Mother Nature to awaken easily. Newborns spend 50% of their sleep time in light sleep, where it is more likely and easier for them to be disturbed and awaken. (Compare this to us as adults who only spend 20% of our time in light sleep). In addition to this, newborn sleep cycles are much shorter than are adult sleep cycles. 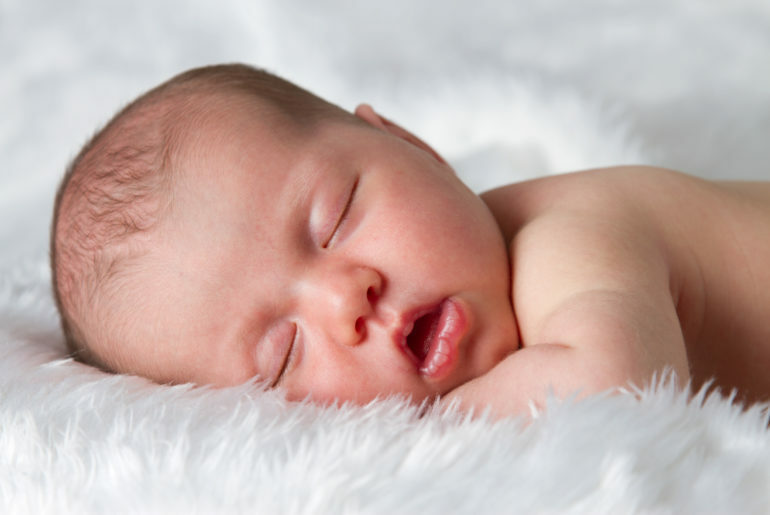 Instead of 90-100 minutes we experience, newborn sleep cycles last only 50 minutes or so – and at the end of each cycle they go back into the light sleep which they can easily awakened from, thus contributing to them awakening much more frequently. However, there is a belief that this is an evolutionary way of keeping babies safe –they were more likely to wake to danger, when hungry so they can feed and that the light sleep is also a protection against SIDS (cot death). However, in this original 1950s study, the definition of ‘Sleeping through the night’ was defined as a 5 hour stretch from midnight to 5am. So it is important to consider this – at 3 months, the majority of babies will be able to sleep a 5 hour stretch, but also a huge 30% were still waking more frequently than this. Sleeping through the night by modern standards (7am-7pm) has not been evidenced as ‘normal’ for a baby this young, so it is good to be realistic about expectations for waking and know that the evidence actually shows us that wakings through the night for the first year, are completely normal.